This video shows what can be done with color changing uplighting, but in an empty room. Here is what it looks like at a real party! 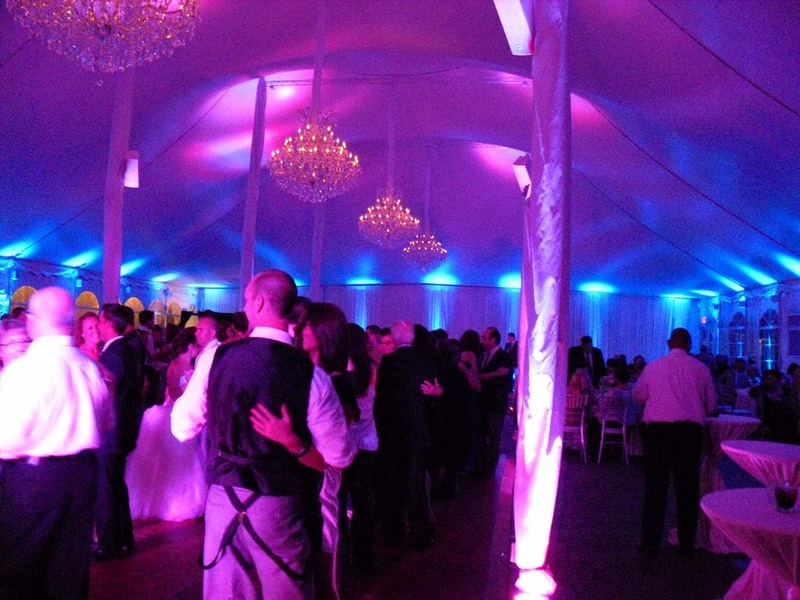 Three walls have single color decor uplighting, and the fourth wall behind the DJ has color changing uplights that look the same as the others during cocktails and dinner, but come to life and move to the music during the dancing part of the evening! 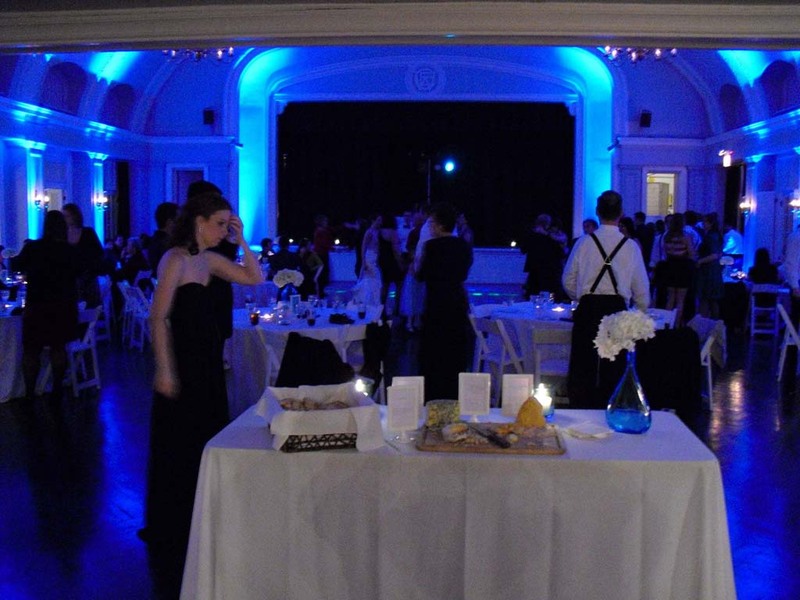 More real party video with 5 Star lights and moving uplights behind. These are just some of the colors and effects we get with moving uplights!